The Seahawks have until 1:00pm on Tuesday to get their roster down to 75 players. This means 15 players will be released in the next couple of days. Here are my predictions for the first round of roster cuts. Look for my thoughts on our roster cuts in “Random Thoughts” in my preview of our preseason finale against the Oakland Raiders. On days 3 and 4 of the 2013 NFL Scouting Combine, the defensive draft prospects hit the field for various drills. Like in my offense review that I posted yesterday, I have noted some defensive players who impressed me during the on-the-field workouts and who I think could be a good fit for the Seahawks. I have broken them down by position and why I could see them getting drafted by Seattle next month. The first two players on my list could possibly be picked by the Seahawks in the first round. I put my spotlight on Hunt after the Senior Bowl because of his height and his potential ability to swat passes down in addition to sacking the quarterback. 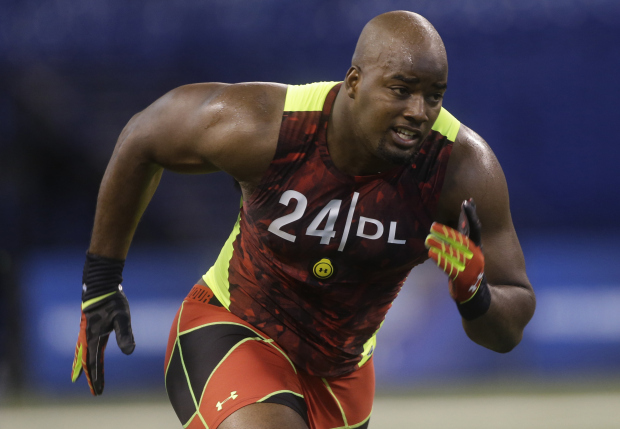 Datone Jones has emerged as a strong possibility to draft in the first round. Jones was recruited by Coach Carroll when he was the head coach at USC and Jones is highly regarded by both Carroll and John Schneider. Although he did not put up eye-popping numbers in college, Jones shows the potential of being a very good pass rusher in the NFL. With Chris Clemons rehabbing his torn ACL, we need another pass rush threat to help out Bruce Irvin. The other four players listed could be decent value picks. With the apparent departure of Leroy Hill, the Seahawks may be in need of another outside linebacker. 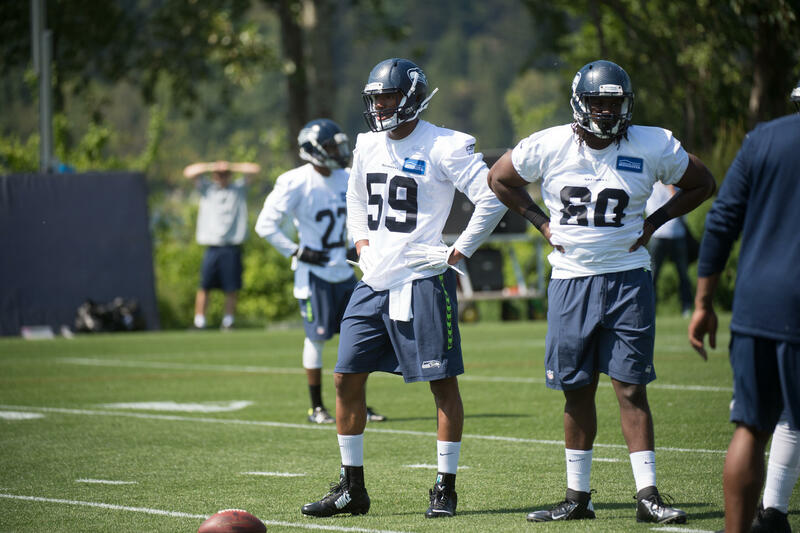 Malcolm Smith may be the answer in the starting lineup but we will need more depth at outside linebacker. Cornelius Washington put up impressive numbers at the combine. Washington tied for the fastest unofficial 40-yard dash time with a 4.50. He also led all linebackers in the bench press with 36 reps; the next closest being Sio Moore with 29 reps. Washington proved to have a good mix of speed and strength at the combine. I could see him being a 3rd or 4th round pick. I put both Florida linebackers on my list for one obvious reason; our new defensive coordinator Dan Quinn spent the last two seasons as defensive coordinator at the University of Florida. I think it would make sense for Quinn to add at least one player who he coached in college. If this is to be the case, I would rank Jenkins over Bostic. For the first time in a long time cornerback is not a glaring need for the Seahawks heading into the draft. Richard Sherman and Brandon Browner have proven to be one of the best cornerback duos in the league and I expect that to continue in 2013. I do think it would be beneficial to possibly add another cornerback in the later round to play in the nickel package, depending on if the Seahawks decide to retain Marcus Trufant in free agency. I have not watched any tape on these 5 players yet to see if they can play nickel but these players have a projected draft range of rounds 3-7. If Trufant does not return in 2013, I could see us drafting any one of these cornerbacks in the draft. Jamar Taylor is the man in this group to watch. He played with current Seahawks cornerback Jeron Johnson in college and also ran an unofficial 4.32 40YD. Earl Thomas and Kam Chancellor are undoubtedly the starters at free safety and strong safety respectively in 2013. I could easily see us passing on this position group in the draft but these three players I think could be Seahawks this season. I highlight Jawanza Starling because he is a USC product and an athletic prospect that Coach Carroll is familiar with. He ran a respectable 4.53 40YD and had good hip control in the on-the-field workouts.